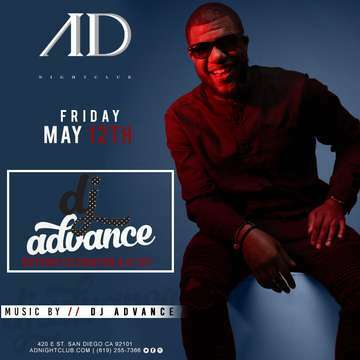 Friday May 12th, celebrate the journey of a lifetime at San Diego's premier nightlife destination. Whether you moved from the Mid West are just visiting, wear graduation Black & Red or your cities colors for complimentary entry and our $10 welcome shot & well drink special! Party all night long while listening to the sounds of DJ Murphi Kennedy + DJ Advance. This event will sell out fast!! Enjoy all of the amenities that the club has to offer. the possibilities are endless! Reserve your ticket today! Remember to wear black & Red or your hometown attire!